For the self-propelled gun, see M7 Priest. 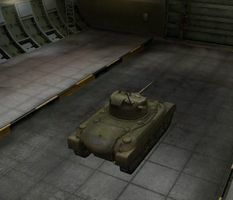 The M7 is an American tier 5 light tank. El desarrollo comenzó en 1941. Al principio, el vehículo fue desarrollado como carro ligero; sin embargo, mientras el modelo recibía gradualmente blindaje y armamento extra, fue reclasificado como carro medio. La producción del M7 comenzó en el otoño de 1942. 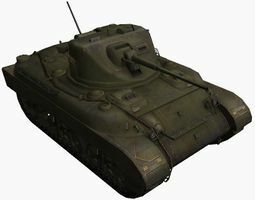 Sin embargo, al ser el M7 inferior al M4 Sherman que ya se producía en masa en todos los parámetros excepto en la velocidad y las dimensiones, se detuvo la producción. Se fabricaron un total de 7 vehículos. It is extremely fast and maneuverable, but has extremely thin armor and below average gun performance. 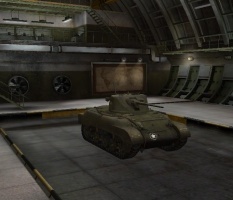 However, the gun's weaknesses are offset by a high rate of fire, so proper use of the M7 will employ all of the tank's strengths: high rate of fire, speed, and mobility. 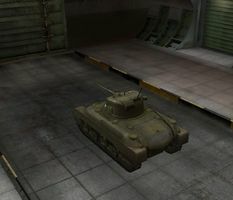 If exposed to enemy fire, the M7 can be destroyed rather quickly, so caution must be taken when engaging the enemy. The M7 is an excellent tank to have in a wolf pack, letting the sturdier medium tanks take the shots while the M7 flanks, keeping the enemy tracked or inflicting steady damage to the target. The M7 leads to the T21. The M7's terrible armor and low penetration result in it being somewhat dismissed. However, in the proper hands, the tank excels in many roles. It performs well as a flanker, and on the battlefield a good flanker is very important. The abysmal armor for a medium tank means that you will have to resort to guerrilla tactics, because a frontal assault is not an option under almost any condition. Flanking, stealth, using cover and situational awareness become paramount if you aim to be successful, because even lower-tier tanks are a serious threat to you. 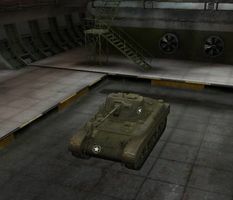 However, if you manage to stay alive, the high maneuverability and speed of this tank will let you relocate, flank and do evasive maneuvers with ease, bringing your fast-firing guns to bear. The 6-pounder is considered to be the best gun for the tank, given a very high rate of fire (equivalent to the 37mm M6), best penetration values, but less-than-superb alpha damage, partially compensated by the extremely high RoF. The good guns and their high rates of fire combined with flanking maneuvers mean that enemies will receive a non-stop hail of fire into their rear armor to which most will succumb. 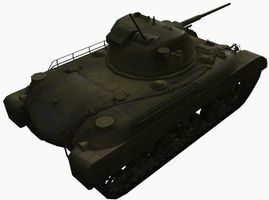 In addition, with full camo skills, the M7 is extremely difficult to spot; and its exceptional View Range make it a very efficient active, and passive scout. However, if spotted, relocation is a must, as you will be turned into scrap metal in an instant if you don't. In the early game, acting as a scout and taking a few shots is fine. Flanking should be reserved for the later game when you can assassinate isolated tanks, or when the opportunity presents itself. The Wright Continental R-975C1 engine carries over from the M5 Stuart and should be installed immediately. You desperately need to upgrade your firepower, by tier V the 37mm M6 is hopelessly obsolete. Research the 6-pounder as soon as possible. It will give you a much-needed boost in penetrating power and damage. You can research the Wright Continental R-975C4 engine at any time from here on. Next, research the upgraded turret. 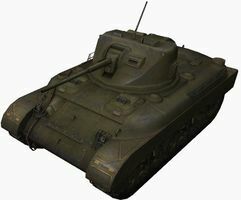 It turns 2 degrees/sec slower than the stock turret, but gives you a slightly better view range, adds 40 hit points to your tank along with 6mm more armor to the turret's sides and rear, and even shaves 100kg off of your tank's weight. Research the SCR 538 radio next. 480m isn't a *great* radio range, but it's much better than your stock radio. Also, it's the top radio for the T1 HT and M6, so if you're going down the American heavy line, you'll already have the top radio for the first two tanks unlocked. Yay! Researching the upgraded suspension next will make you a little more nimble and you'll need the extra weight capacity to mount the big guns. There is no need to research gun 75mm's as their lack of penetration and DPM negates the M7's main roles as a flanker and support tank. They're essentially the M3 Lee's guns on a tank that's one Tier higher... absolutely pointless; the 6 pounder is the gun that makes the tank most effective. Finally, research the SCR 528. The 9000xp and 54,000 credits required to get it can take a little while, but once you have it you'll have better radio range than any other Tier V medium. Also, this is the top radio for the M7 Priest, the Chaffee, the Tier VII and VIII American heavy tanks and the Tier VIII and IX American medium tanks and tank destroyers. You'll thank yourself for unlocking it early once you get up to the higher tiers. 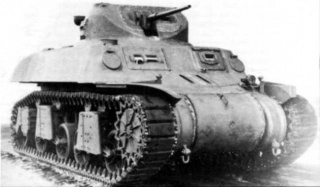 The T7 was a US Army prototype developed as a future replacement for the M3 & M5 light tanks. Original prototypes were built by Rock Island Arsenal. 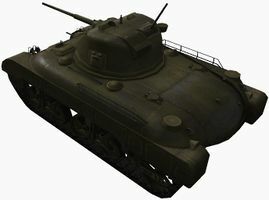 The development of this tank started in the Spring of 1941. The construction of experimental vehicles was launched in January, 1942, after the first prototypes were finished. These were developed in to the T7E2 and featured a cast hull and turret design. 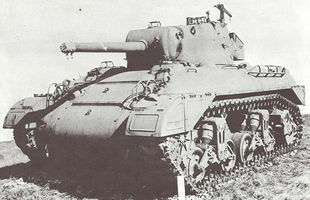 The pilot vehicle used the turret ring of the Canadian RAM tank, which meant the vehicle could be up gunned to the 75mm main gun. By January, 1943, the tanks had passed their trials but were never mass produced. The vehicle proved unpopular as a light tank and the original order of 3000 vehicles was cancelled 1943. 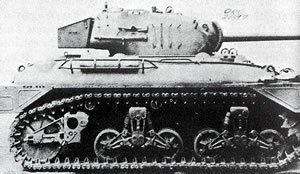 The tank was deemed under-powered and overweight. 7 tanks were built.